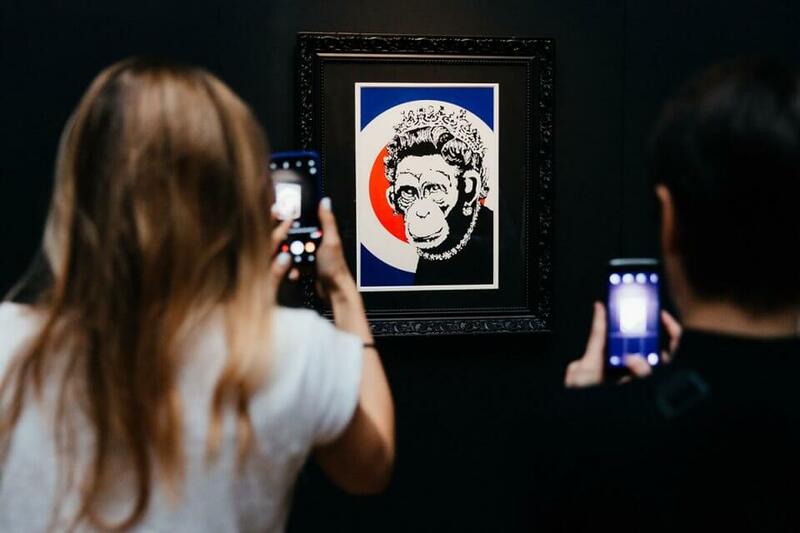 Under the title Banksy: Genius or Vandal?, Madrid’s IFEMA venue hosts a three-month show featuring works by the renowned British artist. Billed as an unauthorised exhibition, over 70 works taken from private collections around the world make up the body of this event, which is the first to showcase Banksy’s art in Spain. It explores the work of one of the most controversial and intriguing creatives of recent times, a street artist who has managed to remain anonymous while being welcomed by the art world at large. The pieces include sculptures, videos, installations and photographs and take visitors into his unique universe. The exhibition features over 70 original works by the anonymous British street artist. Organised by IQ Art Management and Sold Out in collaboration with Lilley Fine Art/Contemporary Art Trader Gallery, the exhibition includes famous works such as the original print of ‘Girl with Balloon‘, which has gone on to be part of a wider series. A framed version of the work was shredded during a live auction in London in October this year and the resulting piece was renamed by Banksy as ‘Love is in the Bin‘. ‘Banksy: Genius or Vandal?‘ has already been shown in Moscow and St Petersburg, where it was seen by more than 500,000 people.